Our personal privacy is something that we value the most and we definitely want to keep it safe from others. Since we all have our personal cell phones now, we always feel assured that our personal data will stay safe in our hands. But wouldn’t it be rude if you deny your friends and family members to have a look at you brand new phone. Well this is a situation that we can’t avoid, but if you are worried about the personal photographs that are stored on your phone, you will need to hide them. Since Android doesn’t have a built in feature to hide files, you will need to use an android app. The Google play store has thousands of such free apps which can help you to hide the personal file and folders on your android phone. But which one would you choose? One thing for sure, these apps can hide all your personal files and folders, but what about protecting the app itself. File hide pro is the answer to all your personal privacy concerns. As the name suggests, File hide pro is an android app that can easily hide all the files and folders on your android phone. Apart from its basic functionality to hide files and folders, the app cleverly disguises itself into a tip calculator app. So this way, not only the app hides and protects all the personal files and folders in your android phone, at the same time it even protects itself. Here’s how you can use the File hide pro app to hide the personal files and folders on your android phone. 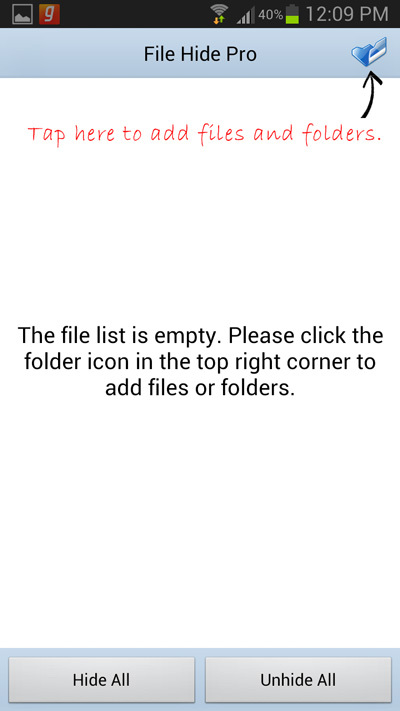 Step 1: Install the File Hide Pro app from the Google Play Store. 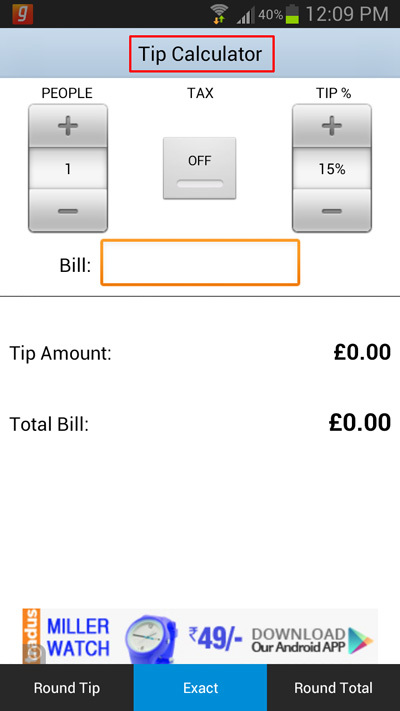 Step 2: As I said earlier, the app will disguise itself into a tip calculator app. So tap on the tip calculator app to access it. 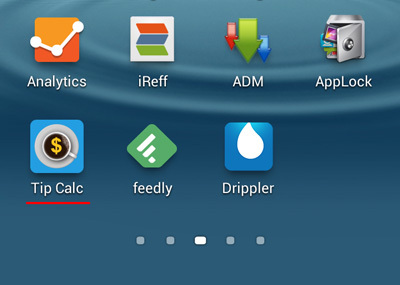 Step 3: Once you open the Tip calc app, you will need to tap and long press on the title of the app i.e. “Tip Calculator” to open File hide pro. Step 4: Now you will need to tap on the folder icon to add files and folders that you want to be hidden. Step 5: Once you are done selecting. Tap on the Hide All button to instantly hide all the files and folders. That’s it and now you can view your phone’s gallery to check whether the files are hidden or not. When you want to unhide the hidden files and folder, go to the app and tap on the Unhide all button to unhide all the hidden files and folder. 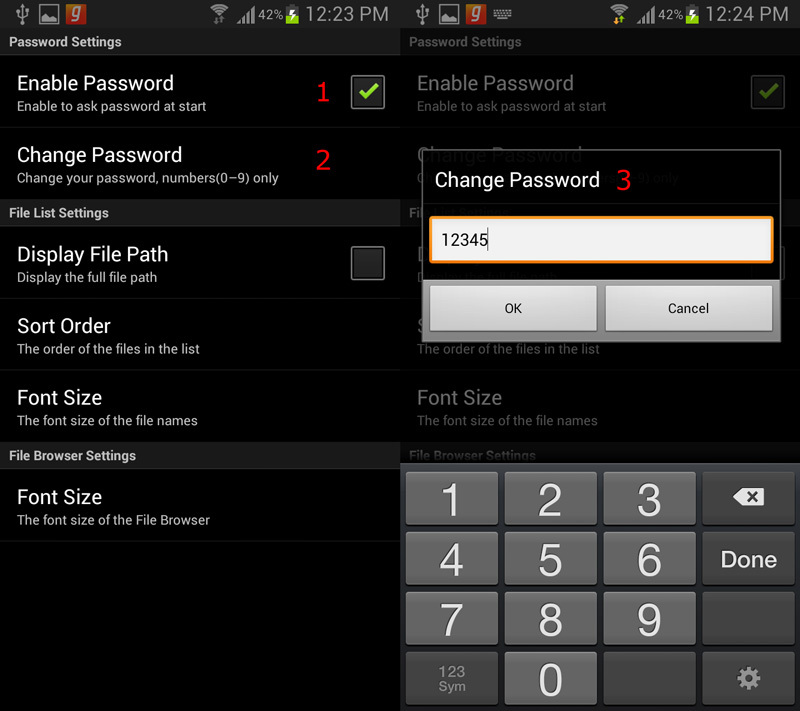 The app even offers you additional security by setting up a password. Go to the app’s settings and tap on Enable password. Now tap on Change password to set a new password. Now the password is all set, the next time you open the app, it will ask you to enter the password.